We’d love your help. Let us know what’s wrong with this preview of Liberation of Sephiera by Jason Hein. Continue the Saga from Varsia with book three of the Varsian Kingdom Series. A story of love, betrayal, and sacrifice.Meet Varsia's seventh specter, explore new lands, and face deadly foes.Join our characters, new and old, on their quest to liberate Sephiera from the clutches of darkness, and save their home! 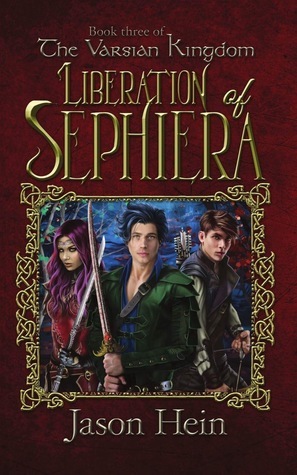 To ask other readers questions about Liberation of Sephiera, please sign up. and little to entertain him, his imagination ran wild! known as "The Varsian Kingdom."